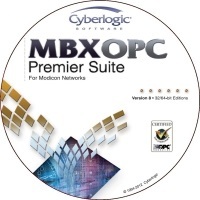 Get all the features of the MBX OPC Premier Suite, the OPC Crosslink Suite, and the OPC Datacenter Suite in one integrated package. 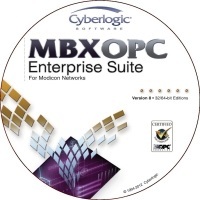 The MBX OPC Enterprise Suite provides the Cyberlogic OPC Server with all the features and options necessary to communicate with other OPC DA servers and with devices on Modbus RTU, Modbus ASCII, Modbus Plus, and Modbus TCP networks. The server can provide data to both local and remote OPC clients. 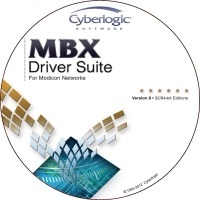 It can be configured to run as a data concentrator and as a data bridge. Data flow can continue with minimal interruption as the server automatically switches between primary and backup devices as communication problems are detected and resolved. Custom-written C-Logic™ programs can transform data before a user-configured trigger generates a record to be logged to a database. OPC Server for Modicon Modbus, Modbus Plus and Modbus/TCP networks and devices. Supports Modbus extensions including the Enron Modbus protocol.